Banana's are perhaps one of the most consumed fruits on the planet given by our nature. Banana is also one of the most favorite fruit after a heavy meal based on a survey and Banana is high in potassium and pectin, a form of fiber, they can also be a good way to get magnesium and vitamin C and B6. Banana contains antioxidants, which can protect you against free radical, which come into contact every day from the things you apply to your skin. Based on a study that eating two banana per day for a month can let you have a wide variety of health benefits associated with the fruit. Eating bananas daily can also cure and reduce swelling, aid weight loss protects you against developing type 2 diabetes, strengthen your nervous system and help you produce more white blood cells. 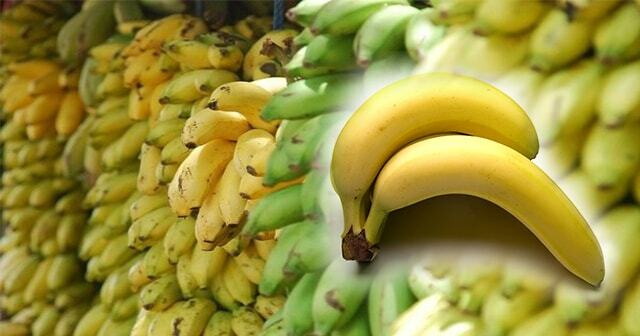 These are the health benefits that you can get if you eat two Banana per day for a Month. Eating banana will help you maintain your bones in a healthy and strong condition. Bananas carry plenty of fructooligosaccharides. These are non-digestive carbohydrates that support digestive-friendly pro-biotics and improve the body's ability to absorb calcium. Carrots may be the majority winner when it comes to helping our eye maintain its top condition, but bananas do their part as well. The fruits contain a small but important amount of vitamin A, which is necessary for protecting your eyes, keeping a normal vision and enhance vision at night, according to the National Institutes of Health. Vitamin A contains compounds that protect the membranes around your eyes and are an element in the proteins that bring light to your corneas. Like other fruits, bananas can help prevent macular degeneration, an incurable condition, which blurs central vision. Some evidence suggests that moderate consumption of bananas may be protective against kidney cancer. A 2005 Swedish study found that women who ate more than 75 servings of fruits and vegetables cut their risk of kidney cancer by 40 percent and that bananas were especially effective. Women eating four to six bananas a week halved their risk of developing kidney cancer. Bananas are good for your heart. They are packed with potassium, a mineral electrolyte that keeps electricity flowing throughout your body, which is required to keep your heart beating. Bananas' high potassium and low sodium content may also help protect your cardiovascular system against high blood pressure, according to the FDA. Bananas are high in fiber, which can help keep you regular. One banana can provide nearly 10 percent of your daily fiber requirement. Vitamin B6 can also help protect against type 2 diabetes and aid in weight loss, according to Flores. In general, bananas are a great weight loss food because they taste sweet and are filling, which helps curb cravings. They also help sustain blood sugar levels during workouts.